I can’t complain. I love the app so far. Hopefully in the future you can add pictures or videos of fires. Keep it up guys!! 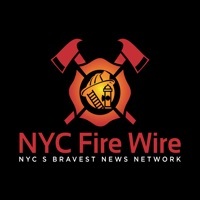 NYC Firewire has rolled out it’s new app, and updated it already. The main feature is the notifications page which alerts you to incidents. The notifications are pretty quick, while listening to incidents unfold on the scanner they come over the app rapidly. A list of incidents and interactive map appear on the main page. In settings you can choose to be notified by Citywide, Borough, Incident type, or by individual unit. You can also choose alert sounds which include the actual tones and announcements that come over the station PA’s. 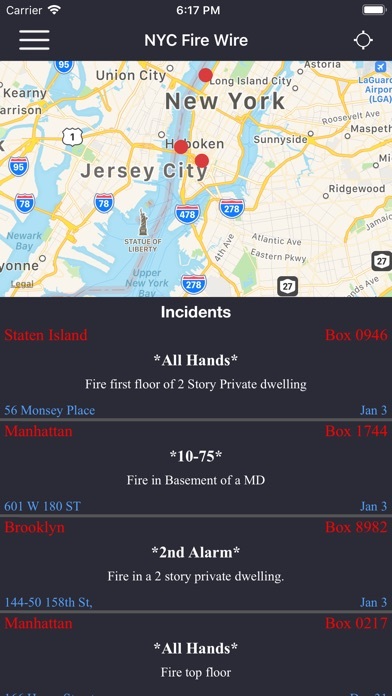 Growing up and listening to “the City” from skip on a scanner I can say this app gives you all the information you want without fear of missing the action in a timely and professional package. I like the app. I’m looking forward to the update where we can select certain companies, call types, and boroughs. Keep up the good work. It would be better if the map could expand to full screen. Would be cool to see unit run down! Keep up the good work. Love this app. Can’t wait for the update to pick boro. Slow notifications with limited information. No date or time stamp for incidents. History of incidents section is old. Get on a group me buff group instead. Excellent , the more info the better,also how to help those hit.